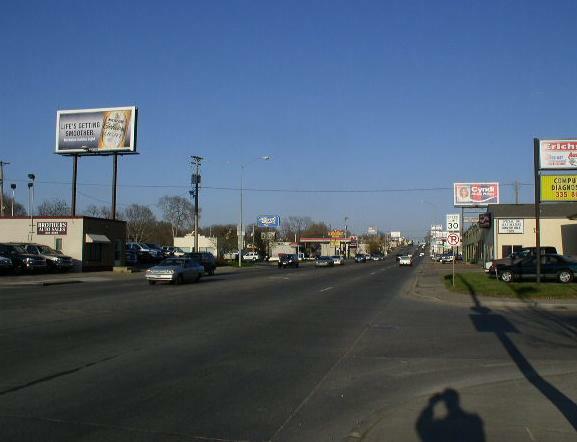 Downtown Spur Interstate 29 is a east-west highway running from Interstate 29 to South Dakota State Route 115, Minnesota Avenue, along 12th and 10th Street. 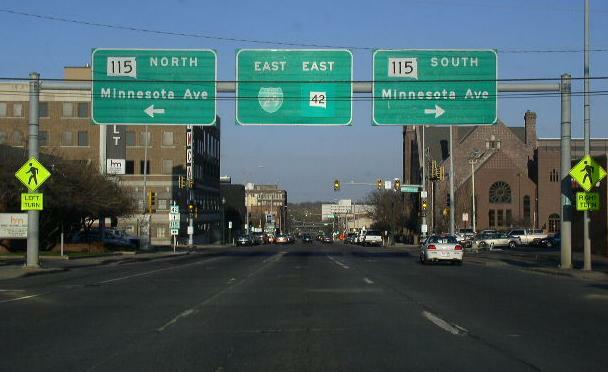 At the intersection of 12th Street and Minnesota Avenue, and 10th Street and Minnesota Avenue, three interstate business spurs meet. This use to be labeld as a business spur. One remaining shield still was posted as of April, 2004. 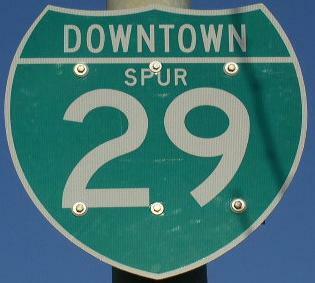 DWTN Spur I-29 passes through the following town in Minnehaha County. DWTN Spur I-29 is multi-plexed in Minnehaha County. 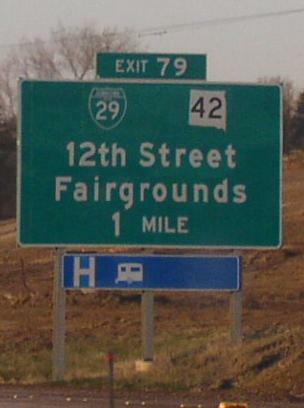 South Dakota State Route 42, at Sioux Falls. DWTN Spur I-29 intersects the following highways in Minnehaha County. Downtown Spur I-90, at Sioux Falls. 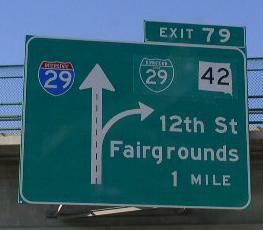 Downtown Loop I-229, at Sioux Falls. 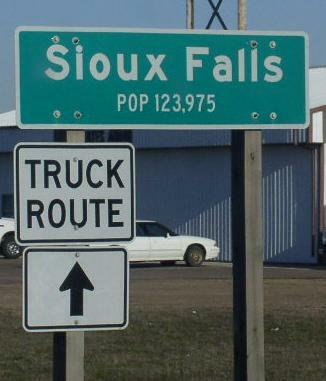 South Dakota State Route 115, at Sioux Falls. A BGS on SB I-29. 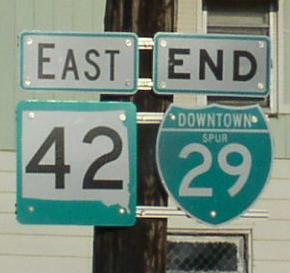 A guide marker on EB DWTN Spur I-29. 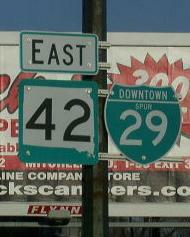 EB DWTN I-29/SD St Rt 42 at Holly in Sioux Falls. A old "Business Spur" shield. This is one SD DOT missed. 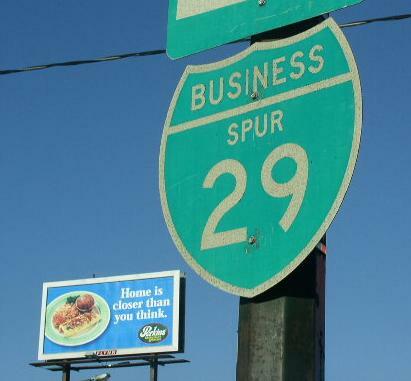 All shields along 12th Street are now "Downtown Spur" except this one. Shield pictured April 13th, 2004. A close-up of the shield above. The eastern guide marker. 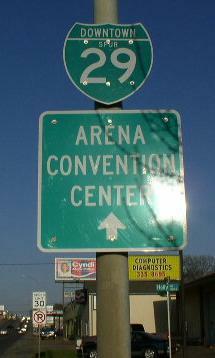 This end marker is before the end point at Minnesota Ave.
EB DWTN Spur I-29/SD St Rt 42 at Minnesota Ave in Downtown Sioux Falls.